Want to send a gift to someone out of town? Forget a birthday or just want to cheer someone up? Fear not, for we have gathered some of our favorite things and made some tasty collections sure to please everyone on your list. From sea to shining sea, from the mountains to the plains; all the star spangled deliciousness of hard working Americans delivered to your door. Explore the diverse world of cheddar with four cheddars in two distinct styles, clothbound and block-aged. Make a cheese plate everyone is sure to enjoy, because who doesn’t like cheddar? We get asked what we take home, a lot, this is the answer. We’ll picked a handful of our current crushes so you can eat like we do. A sampler of three wildly different goudas for you to explore and live the Gouda Life. Centuries of tradition, the foundation for today’s foodie, or a mini getaway when you can’t make it there in person. Truffles are, like, the best! Add truffles to every meal or dress up your signature dish to impress guests. Why party like a rockstar, cheesemongers have more fun and better food. 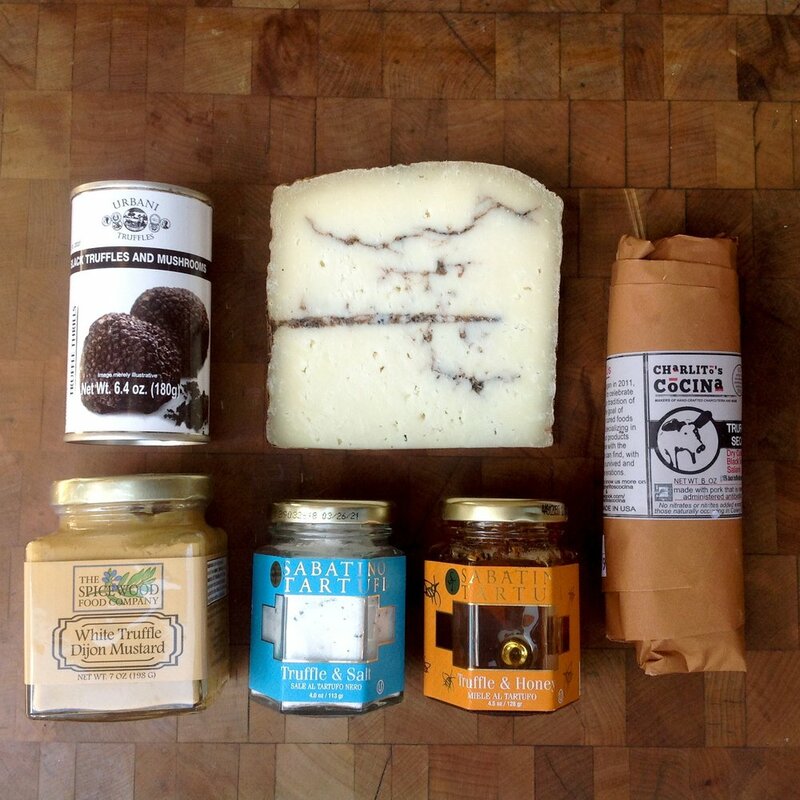 When we party, we go all out and this box will help you party like a cheesemonger. Orders ship Monday thru Wednesday in order to ensure freshness. For more details and shipping policies Click Here! If you would like to order more than 5 gift boxes at a time we require a week’s notice. **Please inform us of all allergies and/or dietary restrictions at time of purchase.